When Maria Sharapova told that she did not know who Sachin was, Sachin fans attacked her left right and centre and created a big fuss even on her FB page. "Who is Maria Sharapova" started trending on twitter world wide. This was unnecessary. The social media voices started attacking Sachin fans and started raising questions on their nasty behaviour. Being a Sachin fan, I felt ashamed because of the manner in which the other Sachin fans started behaving. It is true that many of us do not know about our World class Kabbadi team, Carrom board team. Because of big sponsorship involved in Cricket, cricket is the only sport that runs in the blood and veins of Indians. I agree that Sachin fans would get mad on Maria Sharapova's reaction. But it gives us no right to cross our limits and attack her. In the year 2007, Maria Sharapova pulled out of the Sunfeast open in 2007. Maria Sharapova's childhood friend Maria Kirilenko who also grunts big time like Maria Sharapova went on to win the tournament. During that tournament, Maria Kirilenko partnered with Sachin Tendulkar and played an exhibition match against Mahesh Bhupathy and Baichung Bhutia. Maria Kirilenko is practice partner of Maria Sharapova and has defeated her on a few occasions. Sachin was asked to do an ad along with Maria Sharapove for Canon, which was turned down by the Little Master because of his other commitments. This must have been a rude shock to Maria Sharapova. This is definitely a strong reason for her remark about Sachin recently. 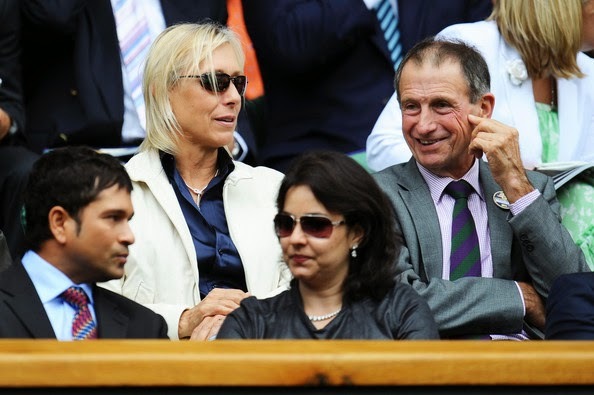 Again in the year 2011, Sachin went to Wimbledon and sat in the Royal box along with his wife Anjali, Martina Naratilova and watched Federer play against Nalbandian in the third round. I remember watching that match on TV. Federer and Sachin's family had dinner in London that night. In the same tournament, Maria Sharapova reached the finals and she lost the finals to Petra Kvitova. This happened just two months after India's glorious world cup win. Sachin was also invited for the royal dinner and was that the reason for Maria Sharapova saying "I don't know Sachin"? I really don't know. But it might be a reason. The recent statement made by Maria Sharapova is indeed a big lie which is similar to the many scene putting girls who say "I don't know that guy". But it gives no right for Sachin fans to attack her and cross the limits.Maria Sharapova might be suffering from short term memory loss or she might have just taken a dig at Sachin. But why bother? Even Sachin has not responded to it. There is no point cribbing at her page. But the world should know that she knows Sachin and that's the purpose of this post. To read an admiration article on Sachin Tendulkar by the author, click here [link]. 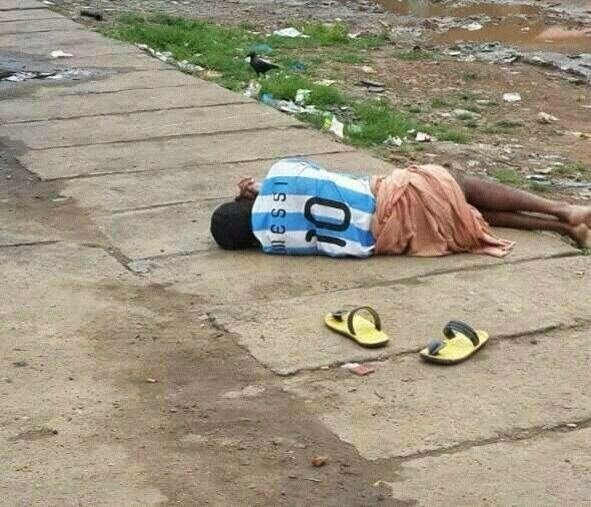 This is the pathetic condition of Lionel Messi after Maria Sharapova said "Who is Lionel Messi"
By the way, Maria never said that she does not know "Chronicwriter". She won't tell that. Who is Sachin Tendulkar again? 662. The Flash Mob Memories.